The United States has a very good chance at going to the 2015 FIFA World Cup final — that is if they can beat Germany on Tuesday, June 30. The top two teams (U.S. is #2, while Germany is #1) will square off against one another during the semifinals in hopes of landing a spot in the championship game. With soccer star Abby Wambach (one of the top U.S. female soccer players) on the field, the team has a very good chance at taking home the title of World Cup Champions. 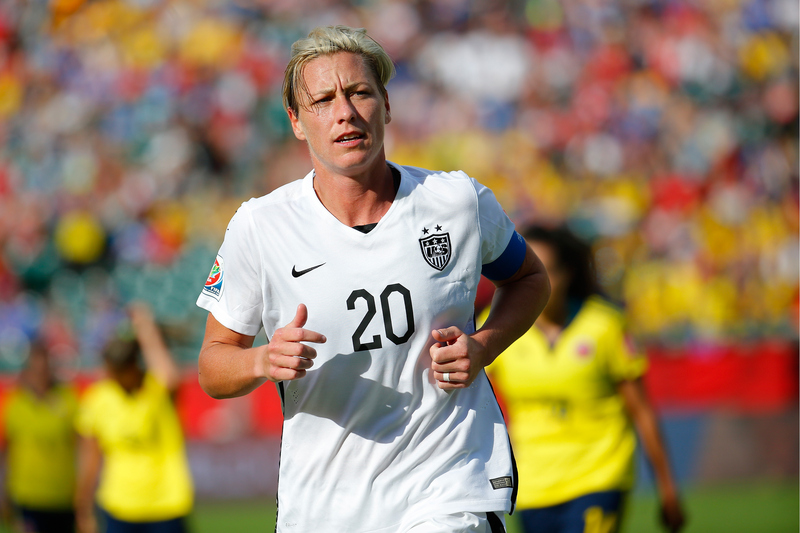 Wambach is no stranger to the pressures of playing big games. Plus, this isn't the first time the 35-year-old athlete has played in a World Cup. Actually, Wambach has played in four World Cups, including the 2015 games. That's right, four World Cup tournaments. I find that pretty impressive. What about you? Wambach has played for the U.S. since 2001. Her first World Cup was in 2003 in the U.S. She also played in 2007 in China, in 2011 in Germany, and, now, in 2015 in Canada. So, just how many of those World Cups did Wambach win? Unfortunately, none, but that isn't going to get her down, because she and the team could easily get to the final World Cup round and become the 2015 champions. If that doesn't get the U.S. women's soccer fans pumped, I don't know what will. Whether Wambach gets to the finals and wins, one thing remains certain: she is excited. As she told ESPN, "There is no better time in my life that I have than when playing for my country in the biggest event for us, in the World Cup." With that said, I'll leave you with this Instagram shared by Wambach on Tuesday. Good luck to Wambach and the entire USWNT!